Sad and downright depressing things continue to happen around here. It's just one of those bad years, and I'm just waiting for it to end so the presumed happiness of 2017 will balance out this muck. November is National Novel Writing Month, which I celebrate, not by writing but by making art! I'll be aiming to sketch a little something every day, on a 4x6 index card or other paper. This year I think I want to focus on drawing human faces... which means I might not upload the drawings because they will be terrible! haha! I am back to sending mail every day, at about 130 postcards and notecards per month. I would like to continue that trend, however if I get stressed about it, the drawing every day will take precedence. And I happened to sign up for a class at edX... 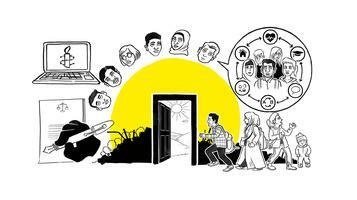 The Rights of Refugees presented by Amnesty International. I have no idea what to expect, but I hope it will be interesting and informative and get me thinking different thoughts. With the autumn rain, comes mushrooms. 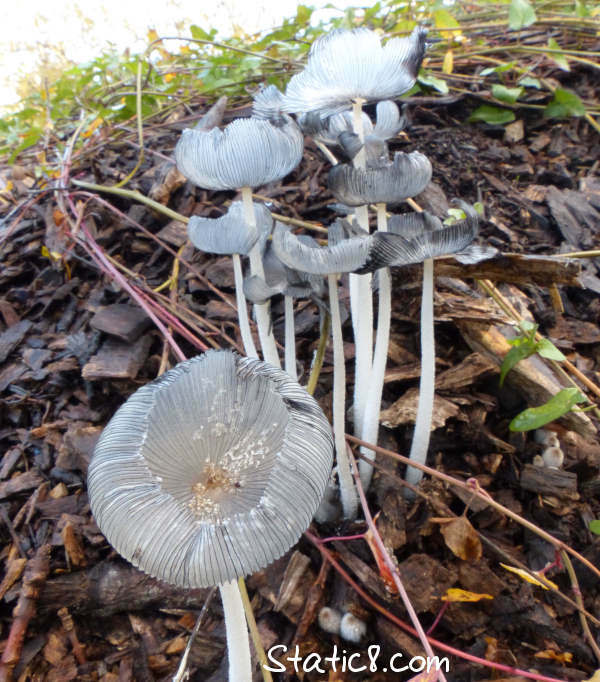 I've not taken the mushroom class yet, and I have no idea what these are called. Very delicate and pretty, tho!